Artists are always trying to find inventive new mediums in which to create their art, but some prefer to use rather old and sometimes mocked modes of creation. 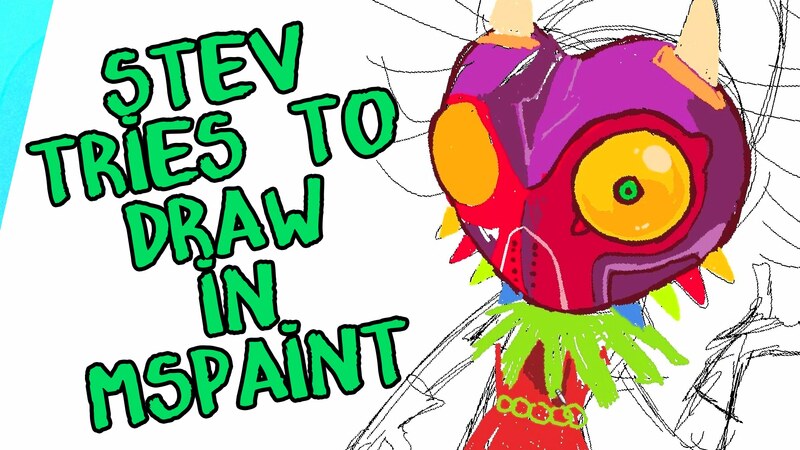 One such artist is YouTube user StevRayBro; he was challenged to draw Skull Kid is Microsoft Paint– and he accepted that challenge! He shows his whole process in a fast-motion video, and it’s really interesting to see the start-to-finish. Somehow this talented artist managed to create a detailed and adorable Skull Kid portrait in this primitive art program, check out his work after the jump. StevRayBro (Steven Ray Brown) is an illustrator, story artist, and animator. He posts new videos on his YouTube channel every week and can be found on Deviantart, Twitter, Facebook, Tumblr, Newgrounds, and Instagram. He does a lot of video game fanart and animations among other nerdy art-related works. This is actually his first MS Paint challenge video, normally he uses Photoshop and Adobe Flash for his art. 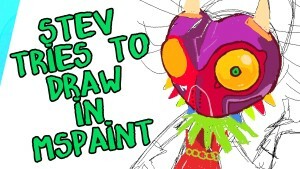 What do you think of StevRayBro’s quick Skull Kid “painting”? Would you like to see him take on more MS Paint challenges? Speak your mind in the comments below!